We are almost done with our new nest and we are ready to move in anytime soon! The latest addition to the house is the mattress from Woosa. This brand is very new to us as we have never heard of it but after reading the reviews online, we have decided to give it a try! We ordered a King sized mattress and were very surprised to see that it was wrapped into a box. Look at the picture below; it came up by the lift! Not the stairs yo!! The mattress was vacuumed packed and wrapped up into the box and unboxing this giant mattress was quite fun! We watched it “grow” to its full size within minutes. The 100% made in Belgium mattress is a 9.5 inch full foam mattress – which was pretty surprising and the first thing that came to our mind was ” Can we can get used to it?” as we were too used to spring mattress. The answer is…. we had such a good sleep!! 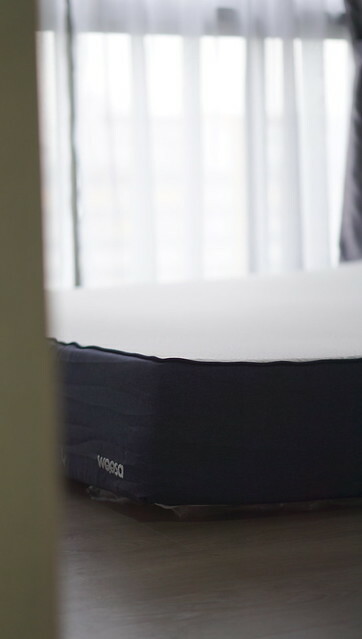 Woosa mattress is made from scratch with extremely high quality latex Foam and PU foam and it comes with a 100 night free trial and a 10-year warranty. If you find the mattress unsuitable, they will pick it up and issue a full refund with no questions asked. Don’t worry because returned mattresses are donated to charitable organization. They will not repack it and sell it again. Also, 100 night free trial? Seriously? YUP! You can test it for 3 full months! And how many brands actually give you a 10 year warranty? Do you know that your bed will start to wear and tear after 5 years? I would say that the 10-year warranty is a bonus bonus plus point to note! 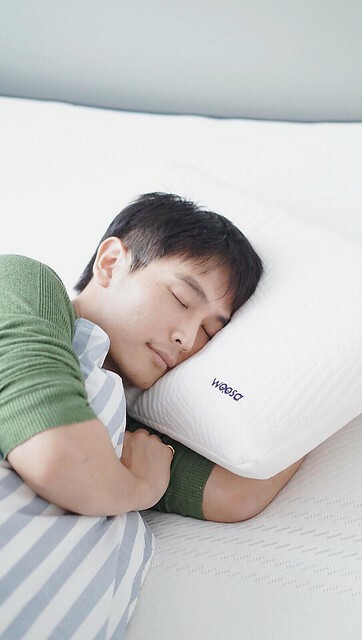 Woosa also carries pillows. The combination of Woosa Mattress + Woosa Pillows? Heaven! Both James and I prefer mattress that are medium-firm and Woosa hit that spot. It was neither too soft nor too hard. The high quality latex foam and cushions kind of tweaked itself to meet our overall preferences for the maximum comfort and support. So no matter your sleeping position – side, frontal or back, or even the body shape, the mattress is bound to work for you. We have already slept on it and I must say that we had such a good sleep and getting this mattress was such a right decision. Don’t be too shock when I share the price with you guys. The King-sized mattress only cost $1,699! We did a lot of mattress window-shopping and a good King-sized mattress can easily cost us $3,500 and above. If you think King is a little too big for you, you can check out the four different sizes on their website. If you are keen to give them a try, head over to woosa.sg to find out more.